Orthodoxy | Visit Russia in Arizona! 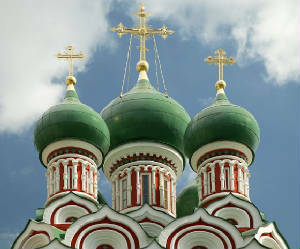 The Russian Orthodox Church Outside Russia (known variously as ROCOR, ROCA, and “the Synod”) came into being to care for the faithful who found themselves outside of their Russian homeland; and for the converts who would come to share the Orthodox faith and way of life with the exiles and emigres in their midst. The Russian Church Abroad always considered herself to be part of the divided Russian Orthodox Church, and an inheritor and conservator of the teachings and practices of the Russian Orthodox Church.For the 50 years of its existence, the Russian Orthodox Church Outside of Russia has been standing on strict canonical ground, and remained true to its original goals, caring for the faithful who found themselves outside of their Russian homeland; and for the converts who would come to share the Orthodox faith and way of life with the exiles and emigres in their midst. Our church is in full communion with other Eastern Orthodox Churches. 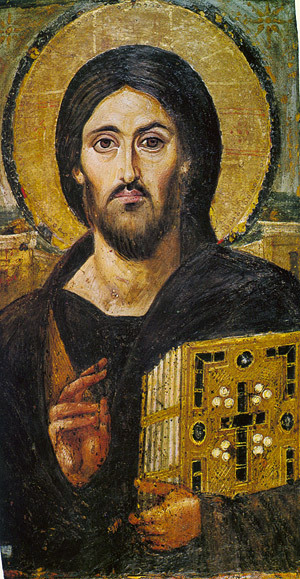 THE ICON Christian sacred art that began in the first century and flourished in 4AD. One must look at an icon not as something identifying God but as a symbol, which provides spiritual unity in one’s approach to God; penetration into the supernatural world through the object of the material world. The icon is a window into another world. It reflects artistic knowledge and the development of the soul. The “writing” (special terminology, according to the icon Canon (guidelines) of an icon is a spiritual discipline more akin to meditation. The icon reveals two dimensions of reality: the outer and the inner. Icons came out of the Divine Liturgy – their aim is holy. Nothing of itself is to be revealed or expressed in other forms of art. There is no creativity in the sense of imagination or emotion, every detail of an icon (from the preparation of the wood, materials and colors) has a liturgical meaning. As one improves in one’s ability to write an icon, one improves in the Spiritual life. Icons are painted according to the specific guidelines and rules called “cannons”, by an iconographer or icon-writer. Iconographers study the cannons and carry out their work in a prayerful manner. The Holy Fathers taught not only how, but why each step was necessary. Every stroke is for a purpose – like religion itself; nothing is without purpose. Today, there are many different kinds of icons being produced with oil and acrylic paints on different kinds of backing. The icons produced by me are written in the ancient 15th century technique. Icon-writing technique of egg-tempa on solid wood panel with 10 or more coats of gesso. Gesso is made from marble dust, chalk, and natural glue. Considering the icon as a Holy Image, it is our belief that the icons should not contain anything synthetic or artificial. Only pure and natural materials are chosen for the writing of the icons. The materials include: solid wood board, linen fabric, natural gesso and glues, clay, 24KT gold leaf, natural ground and raw pigments, egg yolk, honey and water. This is the oldest and the most difficult technique of the writing an icon – because it is first and foremost a spiritual process. There are two ways of looking at an icon: it can be viewed as art or allegory, or it can be viewed as a spiritual or religious practice. As far as art is concerned it is based on images. Using images we reflect that which is spiritual. Allegory is an illustration of a particular truth or event that has happened. Symbols are not a story that you hear, but what you actually see and immediately understand. There are no random elements in an icon – every detail, every color is placed with a purpose and meaning. The icon is not an arbitrary picture painted according to the individual imagination of a single artist. In fact, iconographers cannot add anything personal from his or her understanding of beauty or bring individuality like an artist does. Subjects, patterns and execution of icons draw on collective experience of the Church, an experience of two thousand years. Therefore icons were not signed by iconographers. What is the Russian Orthodox Church Outside Russia? In 1740, explorer Vitus Bering, with two ships, left the port city of Petropavlosk-Kamchatskiy in Russia and sailed to the east. The two ships, the St. Peter and the St. Paul, were separated during the voyage, but Bering sighted the southern coast of Alaska, and landed on Kayak Island; while Aleksei Chirikov, captain of the St. Paul, landed on the Aleksander Archipelago off the southeast coast of Alaska. As the numbers of fur-bearing animals in Siberia declined due to intense hunting, trappers followed Bering’s route to reach the Aleutian Islands and Alaska, eventually making their way down the Pacific Coast to Fort Ross, just north of San Francisco. 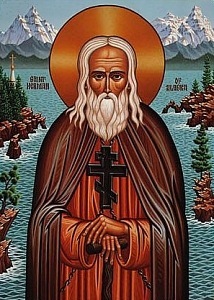 The rich fur resources there led to the colonization of the region; and the Church responded to the spiritual needs of the colonists by sending eight monks (one of whom, St. Herman, is the saint for whom our sister parish in Tucson is named) from the monastery at Valaam to the new land. They arrived on Kodiak Island on September 24, 1794. Thus it was that the Orthodox Church and faith came to North America from Russia. Many people do not know that the “Russian Revolution” of 1917 was actually two separate revolutions. In the first, which took place in February (according to the Russian calendar) the last Tsar, Nikolai II (now recognized as the Tsar-Martyr, along with his wife, the heir to the throne, Aleksiy, and the Tsar’s daughters, the Grand Duchesses Olga, Tatiana, Maria, and Anastasia, who all are also among the Royal Martyrs), was deposed, and a “Provisional Government” assumed authority in the Russian Empire. The Provisional Government, which was meant as a temporary step until free elections could be held and a “Constituent Assembly” convened to adopt a constitution for the Empire, experienced many changes, and was never effectively in control of the events and circumstances in which it found itself. One consequence was the “October Revolution,” which brought Lenin and the Bolsheviks to power in the Russian land. A civil war followed; and, when it was done, the Bolsheviks had won, and the Soviet Union came into being. The Patriarchate in Russia had been abolished by Peter the Great, and it was not until after the February Revolution that the Church was free to elect a Patriarch. Metropolitan Tikhon (now recognized as a saint among the New Martyrs and Confessors of Russia), who had served for a time in the United States, was elected to lead the Church as her Patriarch during the tumultuous times in Russia. In the midst of the Civil War, recognizing that many of the faithful, with their clergy and bishops, were unable to be in communication with the office of the Patriarch, St. Tikhon issued an order allowing the hierarchs in these outlying regions to organize themselves into temporary “Higher Church Authorities” that would function in a conciliar way to guide the churches in their care until it was once more possible for full communication to be restored. The death of St. Tikhon, and the inability of the Church, blocked by the God-opposing Bolshevik state authorities, to meet to elect a new Patriarch, led to the formation of the Russian Orthodox Church Outside Russia, in conformity with the order that St. Tikhon had issued. As such, the Russian Orthodox Church Outside Russia (known variously as ROCOR, ROCA, and “the Synod”) came into being to care for the faithful who found themselves outside of their Russian homeland; and for the converts who would come to share the Orthodox faith and way of life with the exiles and emigres in their midst. The Russian Church Abroad always considered herself to be part of the divided Russian Orthodox Church, and an inheritor and conservator of the teachings and practices of the Russian Orthodox Church. 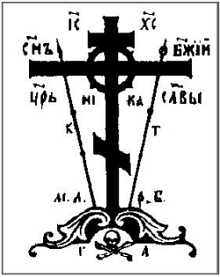 The subjugation of the administrative offices of the Church in Russia to the Bolshevik authorities (who later called themselves, “Communists”) prevented the re-establishment of relations between the Churches of ROCOR and in the Russian homeland; but ROCOR never ceased to hope and pray that the Russian land would one day be set free from the Communist yoke, and that the wounds of the civil war and Communist rule could be healed. The resurgence of Orthodoxy in Russia following the collapse of the Soviet Union in 1991, and the actions taken by the Church of the Moscow Patriarchate (which was re-established by Stalin in 1943 as he sought ways to rally the Russian people to fight against the invaders from Nazi Germany in World War II) at their assembly in the summer of 2000, opened the door to a dialogue between the Church in Russia and ROCOR. The dialogue bore good fruit. 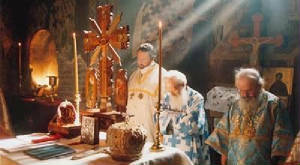 In May of 2007, on the Feast of the Ascension of our Lord JesusChrist, the “Act of Communion” was signed in the Cathedral of Christ the Savior in Moscow by Patriarch ALEXEI II and Metropolitan LAURUS. With this, these two parts of the one Russian Church have been restored to oneness of communion. 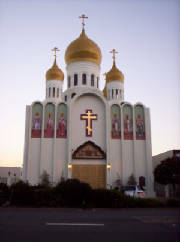 If you’d like to learn more about Orthodox Church, please visit Holy Archangels Orthodox Church, a Parish of the Russian Orthodox Church Outside of Russia in Arizona. Whether you currently attend an Orthodox parish, or you would like to know more about the Orthodox faith, Holy Archangels Orthodox Church welcomes you to join them in worship. Currently, the parish is a combination of emigrants from the formerUSSR, and other countries, their children and grandchildren, as well as a growing number of American born converts to Orthodoxy. Services are conducted in Church Slavonic and English and scheduled every Saturday evening and Sunday morning. or contact Fr. John McCuen at (602) 323-9505 or (602) 565-2725.